Rent a sailboat in Saint Tropez and discover the wonders of the French Riviera’s coastline. Sailboat, Saint Tropez and Arthaud Yachting: these are the three key ingredients for your perfect sailboat charter in the Mediterranean. In need of a break? Discover the shores on board of our sailing boats in St Tropez! 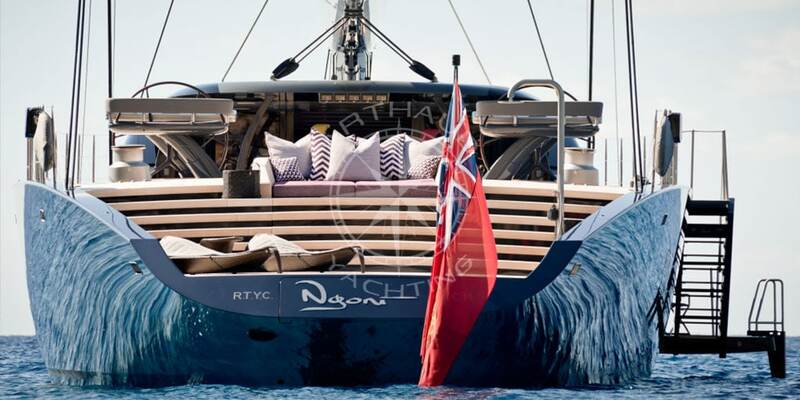 Arthaud Yachting is recognized for nautical events, team-building regatta organization, maxi-catamaran charter and speed boat transfers. 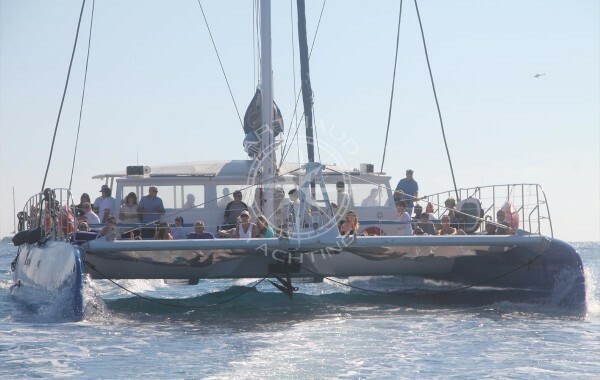 Our large fleet of monohulled sailboats is at your disposal for all your charter projects in Saint Tropez. Our sailboat charter solutions in St Tropez are tailor-made. Be free as the air while cruising and sleeping on board of one of our comfortable units… Navigate to Pamplonne mythical beaches. Throw anchor in the turquoise waters in front of the most popular restaurants and make a VIP entrance to the Club 55, Nikki Beach or Tahiti Beach pontoon. Ramatuelle beaches have a new look in 2019! After several months of renovation work in order to protect the environment of this natural area and its white sandy beaches, discover the new beach establishments of the well-known hotels of Saint Tropez such as Hotel de Paris, Byblos and Château de la Messardière. Qualified crew at your service during your sailing regatta in Saint Tropez. 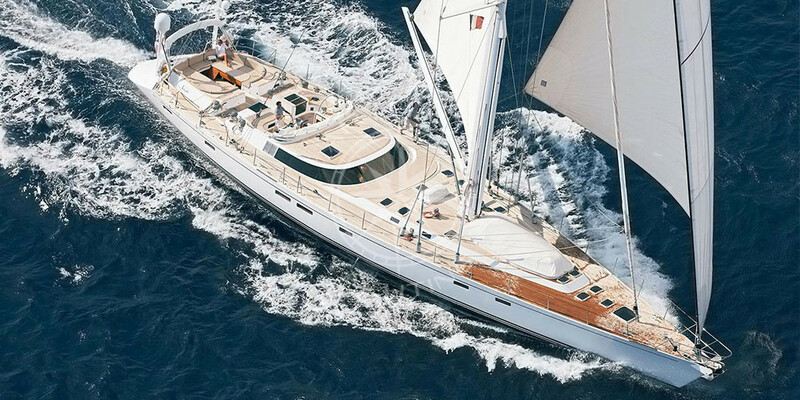 A wide choice of sailing yachts for rent in Saint Tropez. Wishing for a less “St Tropez” style getaway? Cruise to Cap Taillat Nature Reserve for some calm and relaxation, then extend your navigation to Cap Camarat and Cap Lardier to find some remarkable wrecks which attract divers from all around the world. Enjoy this unique place where marine and terrestrial fauna and flora will not stop to surprise you! Accompanied by a skipper or an experienced crew, you will be guided to the most beautiful spots throughout your itinerary. In lack of nature and getaway: Cap Taillat is the perfect spot for you. 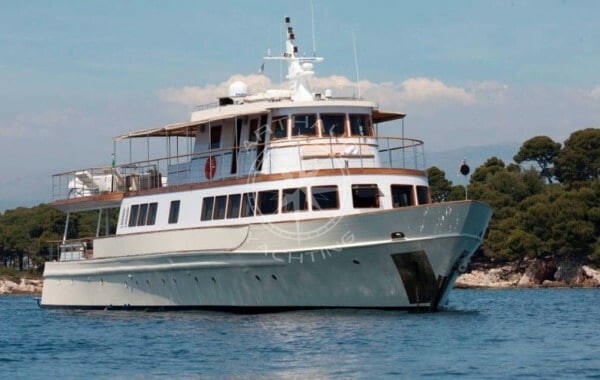 For several days charters you can also extend your cruise to the Golden Islands (Porquerolles, Port Cros, Le Levant, Bago) or facing Cannes Lérins Islands, by cruising through the magnificent nature reserve areas of the Massif de l’ Estérel between Saint Raphaël and Théoule sur Mer. Active holidays for sports enthusiasts: Your sailboat charter in Saint Tropez allows you to move easily to all the sports facilities offered: such as snorkeling, scuba diving, jet ski, water ski, Saint Tropez Golf Club, hiking or mountain biking, etc. VIP holidays & nightlife: Saint Tropez is well known for celebrity parties and holidays. You can often see celebrities on magazine covers who rent a yacht in Saint Tropez and whom you can see in front of the famous Café Sénéquier while your evening walk through the Saint Tropez port. 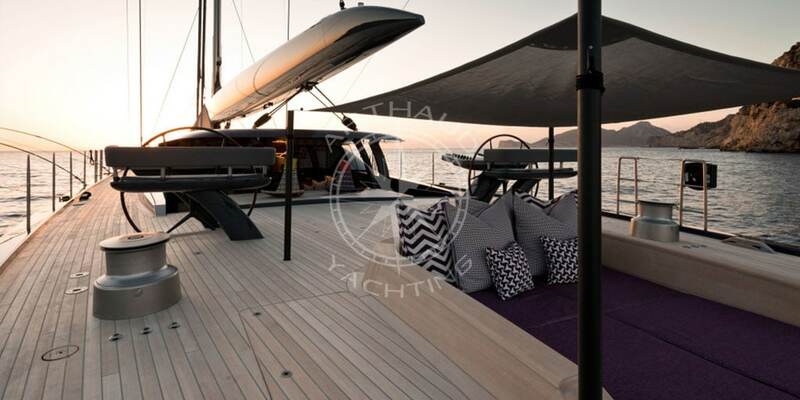 Feel free to rent your sailboat with Arthaud Yachting in Saint Tropez and enjoy all of the nightlife benefits just a step away from your sailboat, which will be moored at the port of Saint Tropez. 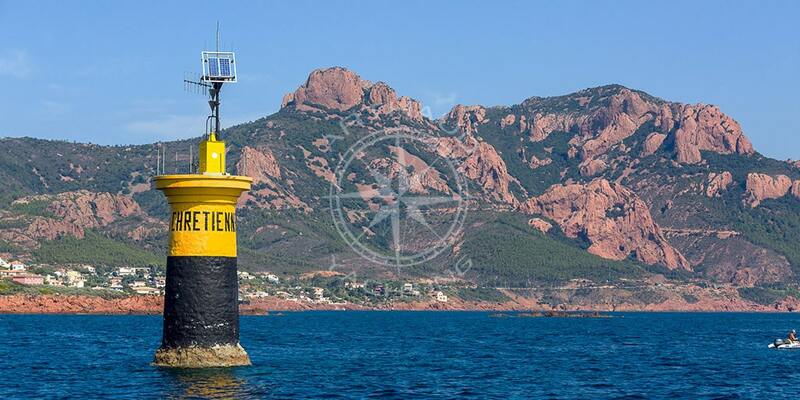 No need to have a night captain, you are in the heart of Saint Tropez! 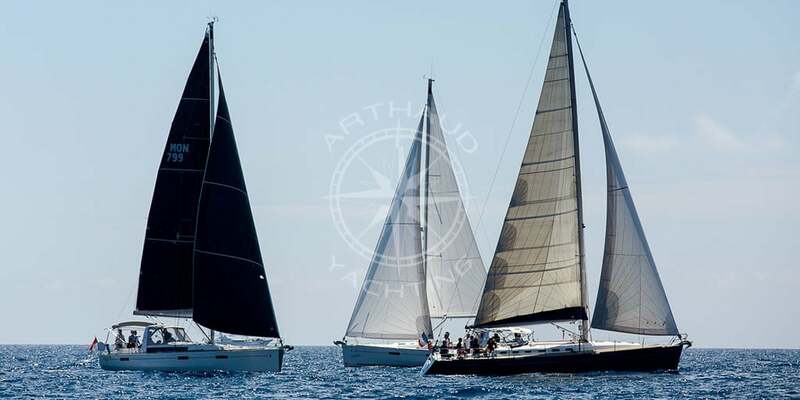 Trust Arthaud Yachting and our specialized team in order to find the perfect sailboat in Saint Tropez. Starting from 35-feet and up to luxurious sailing yachts, we offer our customers a wide variety of sailing boats in St Tropez for your tailor-made charter. Choose a sailboat with three or up to seven cabins, stay on-board with your beloved, family or friends and enjoy a unique escape moment with your loved ones. From the newest modern yachts up to charming classic sailboats, Arthaud Yachting can provide you with a multitude of sailboats to rent in Saint Tropez. Our specialized advisers can propose to you the best solution in adequacy with your desires. Equipped with all the necessities to allow you to live onboard easily and with comfort, the boats are equipped with a kitchen, several bathrooms, a sound system and for some models the air-conditioning, television, Internet and water sports such as snorkeling and Stand Up Paddle. Founded over 15 years ago, Arthaud Yachting is the ideal nautical partner for the success of your private or professional projects. 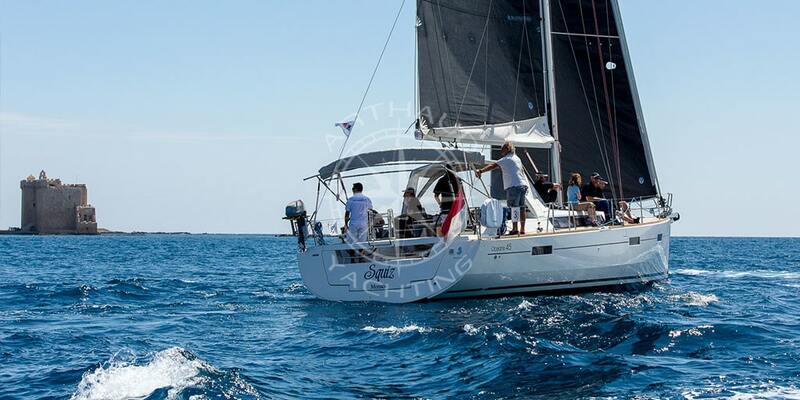 Specialised in nautical events, we also have our sailboats ready for charter in Saint Tropez. Based in Cannes, our agency has a solid network of sailboats to rent not only in St Tropez but also on the entire French Riviera coast from Marseille to Menton via Cannes, Monaco or even Corsica. Our consultants have been carefully recruited for their expertise and experience in their specific fields. They are native to the beautiful French Riviera region which they propose to visit mentioning all the best spots to see. 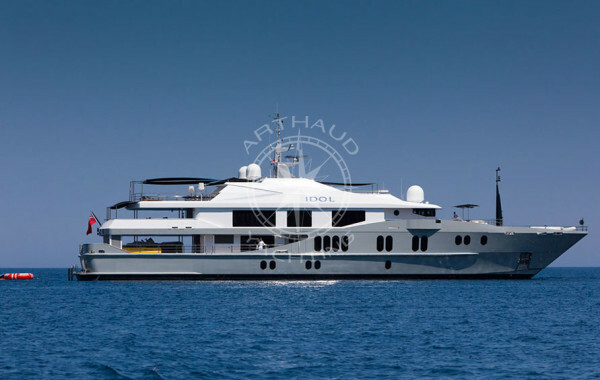 Trust Arthaud Yachting and charter your yacht in Saint Tropez now! Our agency responds all year round 7 days a week!